Dramatized in the major motion picture Amazing Grace, the story of William Wilberforce is the remarkable account of how one man's vision, courage, and relentless pursuit of justice brought freedom to thousands and changed the course of history. "That the greatest and most successful reformer in all history is almost unknown today is a crying shame. Kevin Belmonte puts this right with his inspiring study of an inspiring life."-Dr. Os Guinness, author of Unspeakable: Facing Up to the Challenge of Evil "An excellently researched and insightfully written biography ... I applaud its sound scholarship and commend its perceptive insights into a great life. "-Brian Sibley, author of C. S. Lewis: Through the Shadowlands William Wilberforce: A Hero for Humanity is the definitive biography of the English statesman who overcame incredible odds to bring about the end of slavery and slave trade. Called 'the wittiest man in England' by philosopher and novelist Madame de Stael, praised by Abraham Lincoln, and renowned for his oratorical genius, Wilberforce worked tirelessly to accomplish his goal. 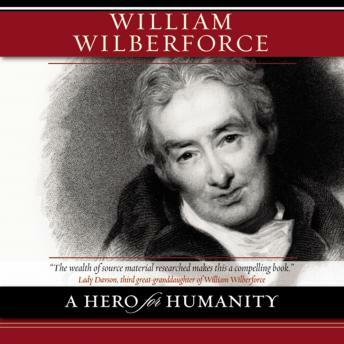 Whether you are an avid student of history, a pupil of prominent leaders of the past, or simply someone who reads for pleasure, you will love award-winning biographer Kevin Belmonte's vivid account of the life of William Wilberforce.